Welcome to Ben Fogel's MWOY Fundraising Page! Welcome to my 2019 Man of The Year Fundraising Page! It is an honor for me to announce that I have been nominated as a candidate for the 2019 Leukemia and Lymphoma Society (LLS) Man & Woman of the Year Campaign. I am writing today to ask for your support of my efforts to help LLS find a cure for blood cancers and to assist patients and families as they battle this disease. Back in 2015, I was struck with the news of having a very rare form of leukemia (Large granular lymphocytic leukemia, or LGLL). LGL leukemia is a rare form of blood cancer, with fewer than 1,000 new cases diagnosed in the U.S. each year. The LGL cells become “clonal” which means too many LGL cells form in the blood. These cells copy themselves and attack your bone marrow and joints. Because it is so rare, doctors often overlook or misdiagnose the disease. For almost the entire first year of fighting this disease, my doctors tried multiple types of chemotherapies that were not able to target the specific cell type of this leukemia. I was able to use a targeted oral chemotherapy during my second year of treatment that turned things around for me, and that has now led me to almost two years of being in remission. The overwhelming support from the LLS, and all of the resources they offered to me and my family, made a huge difference in my road to recovery. There is currently still no cure to LGL leukemia, and it is one of my goals to help raise money to find a cure for this rare type of blood cancer. My mission during this campaign is to make this type of extraordinary success with my treatment become ordinary for every person diagnosed with a blood cancer. This is Hazel. 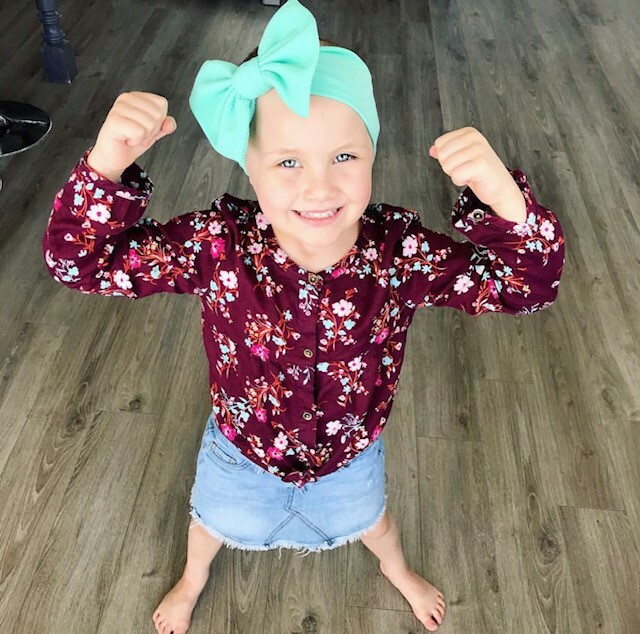 Hazel has been battling Acute Lymphoblastic Leukemia (ALL). Hazel is the LLS "Girl of the Year." This is Blake. Blake has been battling Acute Myeloid Leukemia (AML). Blake is the LLS "Boy of the Year." My WHY of this entire campaign is to help support and raise as much funds for blood cancer research for children like Hazel and Blake. This entire campaign is to honor the local children who are blood cancer survivors. The important research that LLS is funding would never happen without amazing campaigns like this one that help raise money and awareness to a very specific cause – to end all blood cancers. Every dollar we raise counts as one vote, and that is a vote that will lead to groundbreaking treatments - such as chemotherapy, radiation and stem cell transplantation - that are vital to treating blood cancers and many other forms of cancer. My goal during this 10-week campaign from Tuesday, March 5th– Saturday, May 18th, 2019is to capture the most votes and become The Leukemia & Lymphoma Society’s Man of the Year. I am asking you to join me in this ambitious campaign.